The American Revolution officially began with the signing of the Declaration of Independence on July 4, 1776. However, the conflict between Britain and the American colonies escalated to full-scale war from several orchestrated acts of subversion against British authority. High taxation, shipping restrictions, controls on employment and land ownership, as well as lack of representation in British government prompted resistance to British laws by American colonial citizens. The first shots of the Revolution are said to be those that occurred during the Boston Massacre, the British armed retribution for acts of sabotage against British interests, including the events of the Boston Tea Party. The conflict ended with the Treaty of Paris in 1783, granting international recognition for the newly independent United States. The Revolution marked the beginning of a new era in international politics, shifting the world balance of power and military might over the next 230 years. At the outbreak of war, the fledgling American government had few resources, and was still divided by the competing interests of rival colonies. Many leaders were suspicious of establishing permanent, national militaries. The American colonies had to recruit volunteers, train, and arm soldiers, a daunting task for the new nation. Colonial militias aided in training soldiers, and at the outbreak of the war, American military command decided to use their more limited forces in guerilla attacks against the stronger, more formalized British army. In addition to troop strength and weaponry, the British had the significant advantage of having a developed strategic intelligence force within its military corps. The British established a network of Loyalist spies and informants, many of whom were able to infiltrate and report on American military formation, tactics, battle plans, and defensive positions. This espionage gave Britain a decided upper hand in the early months of the conflict, with devastating effect on the American armies. Before the outbreak of the Revolution, the American colonial government, the Continental Congress, created the Committee of Correspondence in 1775. The purpose of the committee was to establish foreign alliances and gain the aid of foreign intelligence resources. The original intent of the committee was to facilitate the sharing of information about British colonial policy, but at the start of the Revolution, the Committee seized and combed mail for vital intelligence information. The organization was renamed the Committee of Secret Correspondence, and then the Committee of Foreign Affairs, and employed trusted Patriot sympathizers in Britain to feed American leaders intelligence information. After establishing protocol for obtaining information, the committee established a network of couriers to disperse information to battlefield commanders and key government officials. The committee also sought the aid of French forces in the war effort. The Second Continental Congress also established the Secret Committee. This clandestine committee arranged for American privateers to purchase and smuggle arms to the United States. The committee used large sums of money to pay for weapons, and additionally solicited aid from Britain's numerous European rivals. The world of the Secret Committee began in 1775, amassing weapons while still under British rule. After the Declaration of Independence was signed, the committee burned its papers and transaction ledgers to protect their contacts in case the colonies lost their bid for sovereignty. The smuggling of weapons proved a successful venture. The United States armed its troops within months, although supplies remained limited throughout the course of the war. Many American leaders, including Thomas Jefferson, ran successful privateering ventures, using their wealth and diplomatic contacts abroad to smuggle arms for the war effort. American privateers ran their illegal cargo through the British blockade under the guise of foreign named vessels and foreign flags. Patriot spies also learned the new British semaphore code, enabling blockade runners to falsely identify themselves as British ships. The first United States counterintelligence operations were directed by the Commission for Detecting and Defeating Conspiracies. The commission endowed several groups, mostly in New York and Philadelphia, with the task of apprehending British spies. The organization was the nation's first secret service, employing local militia under its command to help ferret out suspected traitors and enemy spies. The group used the criteria defined by the Committee on Spies when identifying, trying, and sentencing suspects. The rules of the committee, incorporated into the Articles of War in 1776, defined the crimes of treason and espionage during the course of war, and shaped the American intelligence community with its strict definitions of intelligence information, espionage acts, conspiracy, and aiding the enemy. Although the secret committees of the Second Continental Congress were the first national organizations to address intelligence issues, individuals and civilian spy networks carried out the most vital American intelligence operations of the Revolutionary War. Robert Townsend used his position as a prominent merchant in British-occupied New York to gather intelligence information on behalf of the American government. Townsend operated a significant spy ring, known as the Culper Ring. The ring employed both men and women, and based its operations in New York and Long Island. Most members of the espionage group used their professions as cover, relying on customers and patrons from the British military to divulge information about British military operations voluntarily. Several member of the Culper Ring were caught by British occupation authorities, but the ring never stopped feeding information to American authorities during the war. Major John Clark established and administered a similar espionage group in Philadelphia. Clark and his group fed General George Washington critical information and supplies while his troops wintered at Valley Forge. The Clark Ring obtained detailed information about British defenses , supply lines, and battle plans, allowing the American Patriot forces to plan a series of successful surprise attacks, breaking the British stronghold in the region and paving the way to seize control of Philadelphia. Several other Patriot civilian espionage rings operated across the country and in Britain. Individual civilians most often contributed to counterintelligence measures by posing as Loyalists and infiltrating British-sympathizing groups. Enoch Crosby and John Honeyman both infiltrated several pro-British organizations and delivered valuable intelligence information about the planned use of Hessian mercenaries in British military operations. Within the military, espionage operations were often tailored to fit the strategic needs of the battlefield. Scouts, many of whom were American Indians, reported on the location and strength of British military instillations and encampments. 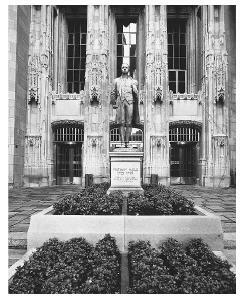 The first recorded American military agent of espionage was Nathan Hale. After a crushing defeat at the Battle of Long Island, Washington called for a volunteer to spy on the British and report to the American command with details of future battle plans. Hale volunteered, but was later captured behind enemy lines and hanged. Covert actions and special operations. Most American, government-backed espionage actions against the British were covert, strategic operations of deception or sabotage. Blockade running was of critical importance to the American war effort. Though British ships clogged United States harbors, American privateers successfully ran British blockades to provide troops with supplies, ammunition, and even supporting troops from France. The American government, usually through diplomats abroad, employed a number of agents to sabotage wartime industries in Britain. Munitions factories, shipyards, and weapons storage facilities were the main targets of Patriot sabotage. Twelve separate targets were attacked in London and Portsmouth in a three-year period by one American saboteur before the agent fell into British custody and was executed. Some operations of deception were more insidious. British troops, wanting to keep some local Indian populations from joining the American cause, bribed village leaders with gifts of blankets and jewelry. Earlier, they gave the Indians blankets from their military sick wards, often infected with smallpox. The disease continued to devastate the American Indian population during the course of the war. Both British and American military personnel traded contaminated goods through Indian trade networks, hoping the goods would fall into enemy hands. Codes, cryptology, and secret writing. American and British forces employed codes and ciphers to disguise their communications, and took precautionary measures to ensure that crucial messages were not intercepted by the enemy. Both armies employed replacement codes, where pre-set letters or words replaced other letters or words in communications. This required intense memorization of static codes, or the use of codebooks, which had a high risk of being stolen by rival spies. The codes used in the American Revolution were simple and easy to decipher, permitting both armies to read intercepts with relative ease. In 1777, the Americans unveiled a new mathematical code that remained unbroken throughout the war, but the complexity of the code precluded its daily use and limited its effectiveness to overseas diplomatic dispatches that did not have to be deciphered in a timely manner. In lieu of complex codes, American cryptologists developed and used secret writing techniques. Disappearing inks are an ancient espionage trick, but during the Revolution, American scientists developed several inks that needed a series of reagents to reveal the hidden message. Some of these inks were waterproof and held up for months in difficult conditions, a necessity for warfare across wild and vast terrain. To further disguise messages, agents were instructed to write their communications between the lines of common publications, such as pamphlets and almanacs. Intelligence operations abroad and at sea required further technological advances in espionage tradecraft. With the British blockade, American agents had to be ready to conceal or destroy intelligence information that they carried. To preserve and conceal information, agents developed small, silver containers in which information could be hidden. The container could then be thrown into the fire and melted or be swallowed by the agent, permitting to information to possibly remain intact and undetected. After the end of the Revolution, and the establishment of an independent United States government, most military and espionage institutions were dissolved. Until the outbreak of World War I in 1914, American intelligence agencies and services were exclusively wartime organizations, rapidly assembled in times of conflict, and dissolved in times of peace. Though intelligence operations certainly aided the victory of American forces over the larger and better-armed British military, peacetime intelligence remained scattered, and largely focused on political and diplomatic espionage operations. Finn, Elizabeth. Pox Americana. New Haven, CT: Yale University Press, 2000. Mahoney, Harry Thayer, and Marjorie Locke. Gallantry in Action: A Biographic Dictionary of Espionage in the American Revolutionary War. Lanham, MD: University Press of America, 1999. Central Intelligence Agency. "Intelligence in the War of Independence. "< http://www.odci.gov/cia/publications/warindep/frames.html > (May 19, 2003).